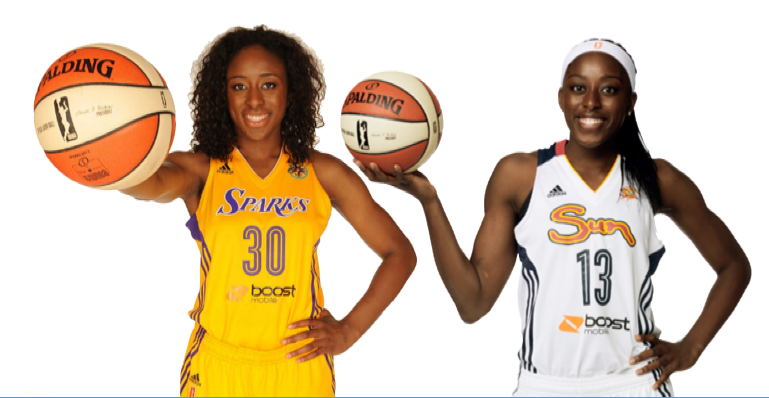 Sisters Nneka and Chiney Ogwumike of the WNBA are partnering with the U.S. Fund for UNICEF to support Nigerian schoolgirls. It's been more than two months since 200 Nigeria schoolgirls were abducted in northern Nigeria, with no news of their release. More children have been abducted since, according to some reports. UNICEF hasn't forgotten these girls—and neither have Nneka and Chiney Ogyumike. The two WNBA star sisters, who have family ties to Nigeria, are challenging girls' basketball teams to support UNICEF's work there. Their goal is to empower American and Nigerian girls, and the effort has already received a special shout-out from Melinda Gates, co-chair of the Bill and Melinda Gates Foundation. 10 million Nigerian children are out of school—the highest number in the world. UNICEF programs in Nigeria focus on the problems of violence and abuse against children in schools and work to address the issues of girls’ education and out-of-school children. The UNICEF-supported Girls’ Education Project aims to give 1 million girls access to better quality education in northern Nigeria through increased enrollment, scholarships for female teachers and safe spaces for girls.